 Bottle your beer and relax knowing it will lager for the long haul with this completely reusable 740mL Oxygen Barrier Bottling System from MR.BEER®. These bottles provide greater protection against oxidation and carbonation loss over time, so beers that you want to cellar for longer periods will withstand the test of time. Bottle your beer and relax knowing it will lager for the long haul with this completely reusable 740mL Oxygen Barrier Bottling System from Mr. Beer. These bottles provide greater protection against oxidation and carbonation loss over time, so beers that you want to cellar for longer periods will withstand the test of time. Dimensions for our 740-mL Bottles are 9.6 inches high with a 3 inch diameter. The maximum height for a standard label is 3.9 inches. Bottles are made from PET (Polyethylene Terephthalate), FDA approved for beverages and DO NOT CONTAIN Bisphenol A.